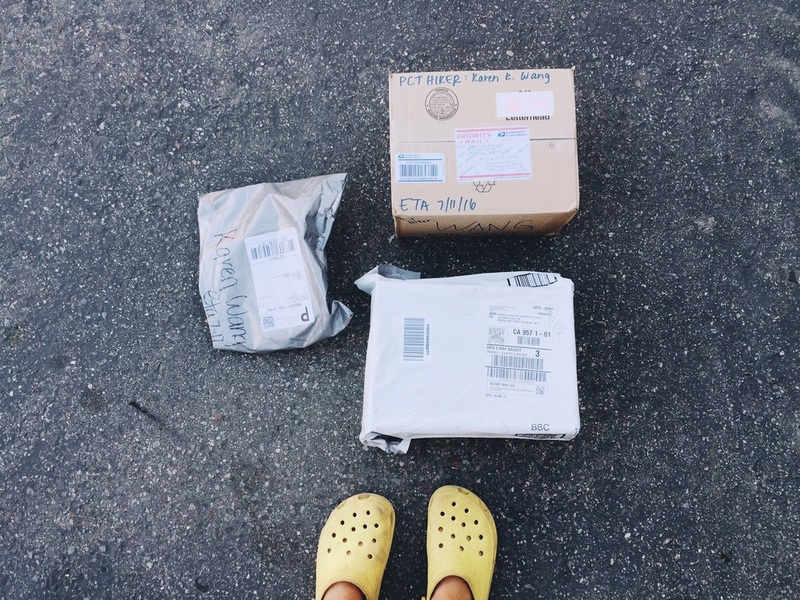 The pkgs I have been waiting so long for!! I headed out to catch my bus around 8 but turned out I had just missed it by three minutes so I waited around 40 min for the next one. The bus driver came and he was pretty rude. He got mad at me for entering the bus in the back. He thought I was a terrorist. When we got closer to the post office, I asked him if this was the stop and all he did was point. So rude. I got off and walked across the parking lot to it. The place was really busy, I've heard so many things about the PO here being super rude too. The man who helped me was frazzled and overwhelmed on how busy it was. He couldn't find my packages and was annoyed. Every time I tried telling him something, he would disappear into he back before I could finish. As I was writing down the tracking that I had for only two of them, he walks out with three of my pkgs stacked high. He said it was filed under the H instead of W. Have no clue why bc there is no h in my name. But I was relieved. I finally got my new shoes, hat and box from the muscos! I then waited another 30-40 min for the next bus to take me to the sports store to find a new olive oil container. Found one and headed to raleys next door to use their potty. Ended up finding some bulk cashews and got some juice. I was starting to get hungry! I saw digger and frost and caught up with me. He said the Chinese buffet was terrible but I still convinced to try it. Waited another 40 min for the bus to take me back to our side of town. I got off and went to the other PO to mail some things forward to Sierra city. I was super close to the Chinese buffet so I walked over and decided to try some things to go. Digger was right, it sucked. Some of the things were ok but most were not. Oh well. You live and learn. The lake from bus window. After four hours of running around town, waiting for buses and walking around with a huge trash bag over my shoulder full of stuff, I finally made it back to my room. This has not been a rest day. I don't like big towns bc it takes forever to do things. We don't have cars and it's really hard to get around. I facetimed nancy a bit to arrange some gear and she showed me their new place! So cute. I ended up passing out for a bit so that felt good. It was getting close to evening and I just wanted to stay in bed all day. I had a FT date w my nanny kids and got to see them finally!! It was so fun to catch up since it's been a really long time. They are such cute kids, they had a list of really good questions they asked about my trip! A game and undercover went to Thai for dinner and was FINALLY happy they found a good Thai place!! So happy. I decided to just wait till tomorrow and had some leftovers here in my room. I just chilled with the tv on for the rest of the night and caught up on blogs. I went to go visit them for a bit when they got back too since we hadn't seen each other all day. Tomorrow is back on trail. I'm worried about Ellie's pkg bc there's been no update on the tracking. I feel so bad bc she rushed to get it out to me but now I have no idea where it is! Argh. USPS. I also asked mike Linquist to ask their friend Adam to see if he had a sports therapist he recommends but I just don't know if I have enough time, energy and effort to go to one before we head out. There's always so much to do and not enough time.